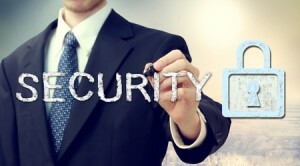 C yber security as a service, provides organizations the security consulting services in a consistent and resource saving way. We provide the organization the security experts who assist and provide information security services in the right amount for a variety of tasks and roles such as: CISO, regulation and compliance, security architecture, information security support and forensic analyst. We provide on-going protection and saving resources. The solution is an on-going penetration test, conducted by our red team who 24/7/365 checks, updates and takes care of the organization from being exposed to threats and defends the organization before the attackers have a chance.